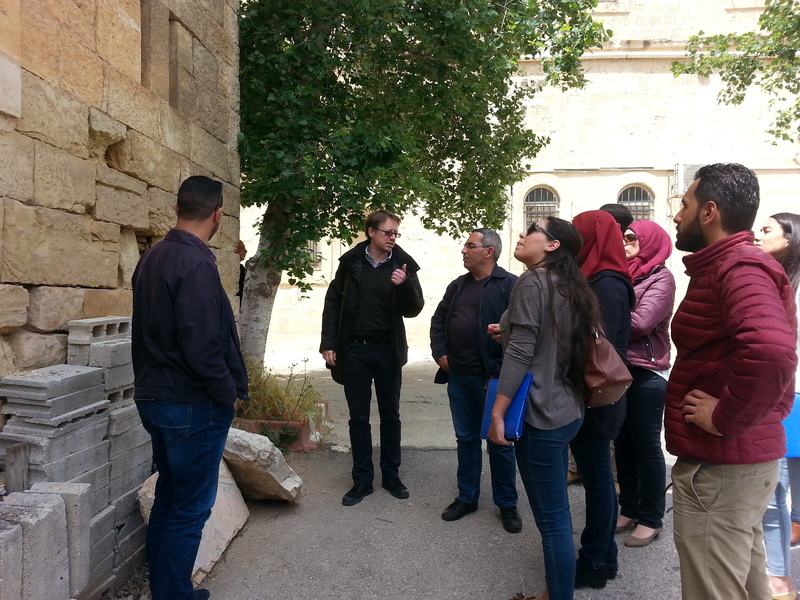 The main objective of this course is to enhance and increase the capacity building of architects, engineers and contractors in restoration field, and improve their skills and knowledge in restoration techniques according to international standards in architectural conservation .During the course, the trainees have prepared a conservation plan for Diba’i historical building which located in Ramallah old town and lately owned by the orthodox church the building is abundant and in a bad condition therefore it was chosen as a case study . The course participants have applied what they have learned to prepare a comprehensive file on how to safeguard the building the file included architectural documentation in addition to historical, physical and structural analysis . As well as the determination of the state of conservation for the building in short and long term and suggestions for the future use of the building.